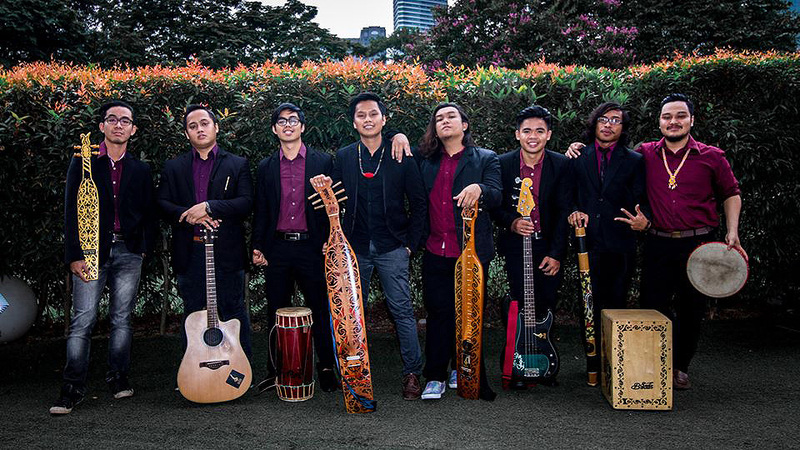 Sada Borneo is a Malaysian band formed in Penang in 2012 and consists of 11 members from different parts of Malaysia. Aspired to create a new sound for Malaysian music and to express the beauty of Malaysia, their music a fusion of traditional, modern, ethnic and nature elements in their music. The band then gained popularity in 2014 after representing Malaysia in AXN’s Asia’s Got Talent. Sada Borneo was formed out of the friendship between the members have been performing since 2012 in Universiti Sains Malaysia (USM). The meaning behind the name ‘Sada Borneo’ is ‘the sound of Borneo’, borrowing Sarawak’s Iban ethnic word ‘Sada’, which means ‘sound’. The band came up with the name during one of the performances in USM at the last minute before the show started.